Be Ryong Martial Arts is owned and managed by Master Seung Hum or just Master Yun to his students. 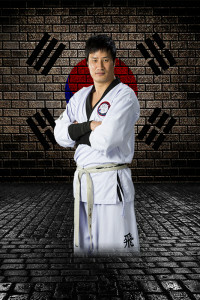 Master Yun is a 5th degree black belt in TaeKwonDo and 6th degree black belt in HapKido. Both forms of martial arts are his passion and love so both programs are offered at Be Ryong. Be Ryong offers a rigorous program for students of all ages. Our youngest students are 4 years old and our oldest is nearly 60 years old! The studio is open six days a week, Monday – Saturday. Unlike some other studios, with your monthly fee, you can attend as many classes as you wish. 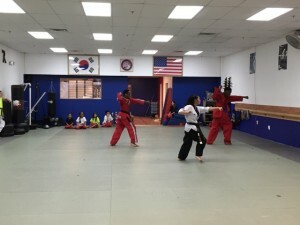 Classes are divided into lower belts and higher belts, with most classes being a mix of kids, teens and adults. At Be Ryong, it’s not about how old you are. Instead, it’s all about your belt level and the commitment you bring to the studio. 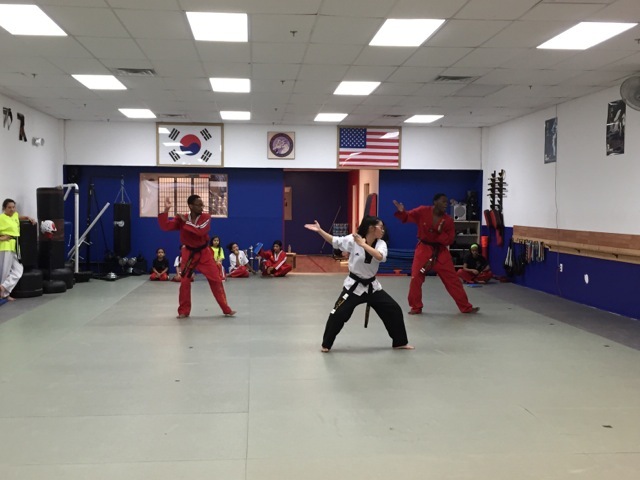 TaeKwonDo classes are offered Monday – Saturday, while HapKiDo classes are offered four days a week. Check out our schedule for more information. Every class starts with warm-up and stretches, then we do cardio work for about 20-25 minutes, then we practices kicking, forms and breaking. Every class is different so you’ll never be bored. We believe in cross training and interval training. One day, you might run a mile then focus on core strength. During another class, you might focus on flexibility and proper forms. Learn more about the TaeKwonDo program at Be Ryong. 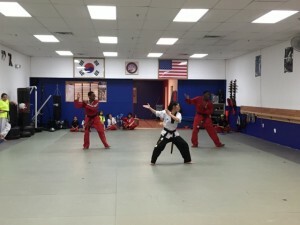 Learn more about the HapKiDo program at Be Ryong. 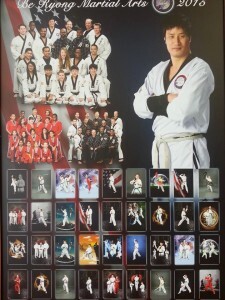 Here is a poster of Master Yun and many of the students taken during the 2015 photo day!